Tasker played 15 games in guernsey #14, kicking 13 goals in a nice little pattern! 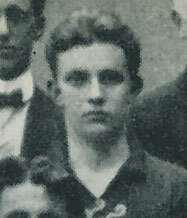 He debuted for the Blues in 1918, after crossing from Geelong High School via Geelong. He was born in Ballarat East. In 1917, his made his debut with Geelong as a 16 year old, he played five games and booted two goals in his only season with the Cats. Contributors to this page: Bombasheldon , molsey , tmd1 , Jarusa and admin . Page last modified on Sunday 02 of June, 2013 12:41:48 AEST by Bombasheldon. 1972 GF - Big Nick spoils the pack.